Kang Dong-ho who is playing the role of Jo Yoon-hee's first love in the drama "My Husband Got a Family" commented about the "Lee Hee-joon and Jo Yoon-hee" couple. 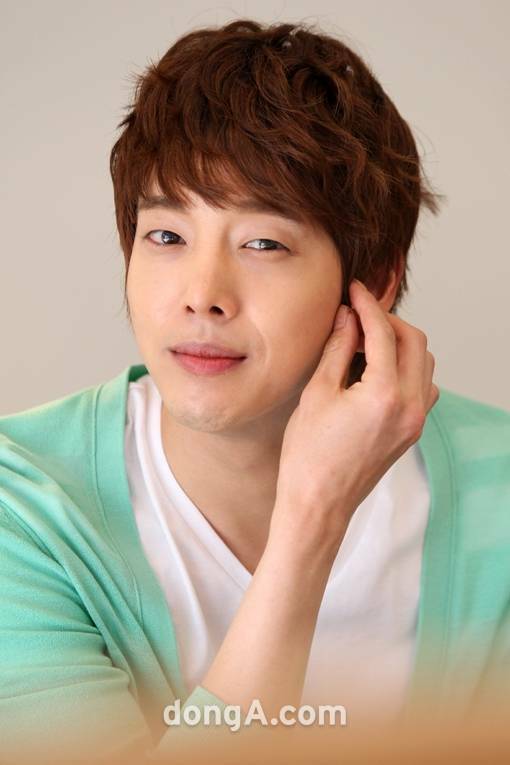 In a recent interview with Dong Ah.Com, Kang said, "I wish Lee Hee-joona nd Jo Yoon-he get together soon. It's about time!" Kang Dong-ho is currently taking on the role of Han Gyoo-hyeon, first love to Bang Ee-sook (Jo Yoon-hee) who is loved but also despised by those who are supporting Lee Hee-joon and Jo Yoon-hee. Most viewers are wishing Cheon Jae-yong and Bang become a couple soon but Gyoo-hyeon is standing in the middle of them. Kang is also frustrated at Cheon for not being aggressive enough. He said, "Cheon is slow. If that was me, I would be angry and ask what's wrong with you?" Kang Dong-ho was only expected to appear in the drama for 3~4 episodes but as the relationship went three ways and made the story interesting, his parts grew and grew. Kang said, "I was supposed to be provoking and just disappear but I just got too popular amongst the viewers. I think this is my twentieth episode already". Meanwhile, Kang Dong-ho is preparing for the musical "Finding Mr. Destiny" along with "My Husband Got a Family". "Lee Joon-hee and Jo Yoon-hee in "My Husband Got a Family""
Lee Je-hoon and Suzy in a dance movie? Park Han-byul, "Marriage? se7en has to go to the army first"